You have a closet filled with overpriced, purposely ugly holiday sweaters. 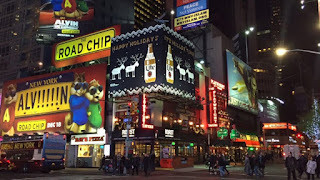 Miller Lite also has an affinity for ugliness in sweater pattern, so much so that they are wrapping up their Times Square billboard with stitched beer bottles and reindeer. 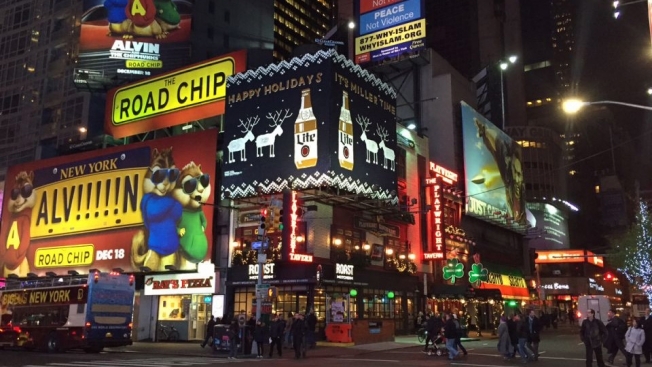 But does it really stand out in the most billboard heavy place in America? Maybe some more colorful options would be nice next to the ALV!!!! !N.